When Erica begins to sort through her grandmother's belongings, she is flooded with memories of her childhood - and of her cousin, Henry, whose disappearance from the manor tore the family apart. Erica sets out to discover what happened to Henry, so that the past can be laid to rest, and her sister, Beth, might finally find some peace. Gradually, as Erica begins to sift through remnants of the past, a secret family history emerges; one that stretches all the way back to turn-of-the-century America, to a beautiful society heiress and a haunting, savage land. As past and present converge, Erica and Beth must come to terms with two terrible acts of betrayal - and the heart-breaking legacy left behind. 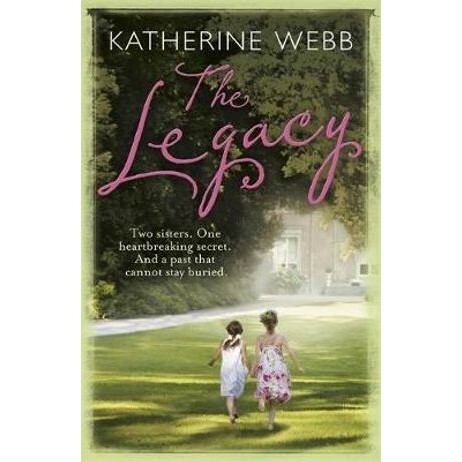 The Legacy is an unforgettable, deeply satisfying story that will stay with you long after the last page has been turned. Katherine Webb was born in 1977 and grew up in rural Hampshire before reading History at Durham University. She has since spent time living in London and Venice, and now lives in rural Berkshire.